Beautiful flower girls wearing their wedding best and walking down the isle are one of the prettiest parts of a wedding. 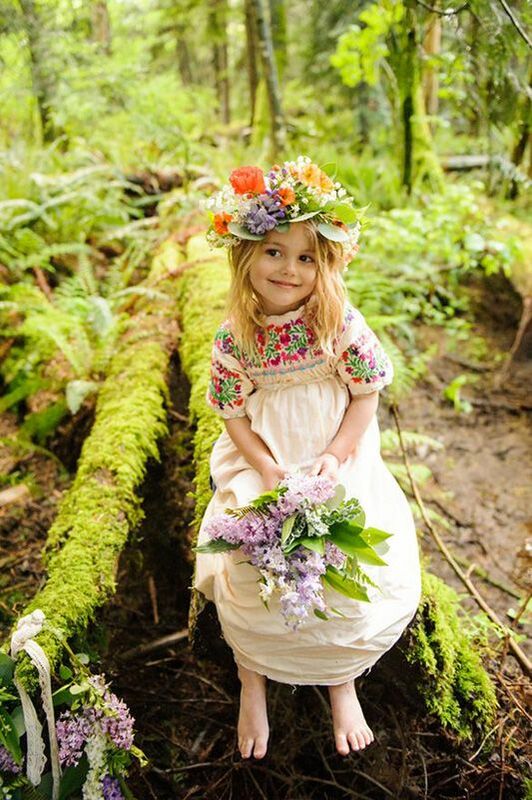 Have you thought about what should your flower girl wear? It has to be something so special and adorable. If you need some help with deciding, take a look at some of the best flower girl outfits we’ve found! Kids and flowers are the two things that will always be beautiful. This young lady is wearing a white boho dress with pretty, colorful flower embroidery. The flower crown around her head is completing the whole look. Girls can wear this dress for a spring or summer wedding, a boho themed one, a garden ceremony… It’s such a versatile dress that can be worn even after the wedding. I’m sure the girl would love to wear it again.